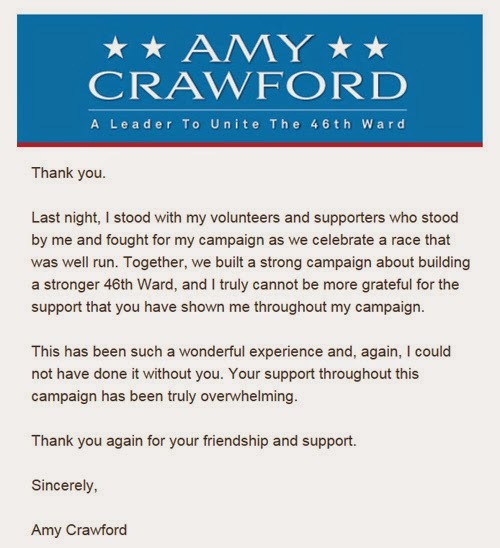 I voted for Mrs. Crawford, but I did not necessarily "support" her(i think a vote is good enough); that's why I probably did not receive such a thank you e-mail. Oh well. I was already weary of our leaders at the federal level, but this municipal election was like a nail in the coffin for the political process as a whole . At the end of the day, my singular vote never truly matters. Whether I voted for Hī·mā or Aims, $$ & majority usually wins. Congrats to Ald. Cappleman. I guess the voters spoke. And democracy. It's great that there was more than one person running....its nice to have different views and opinions. 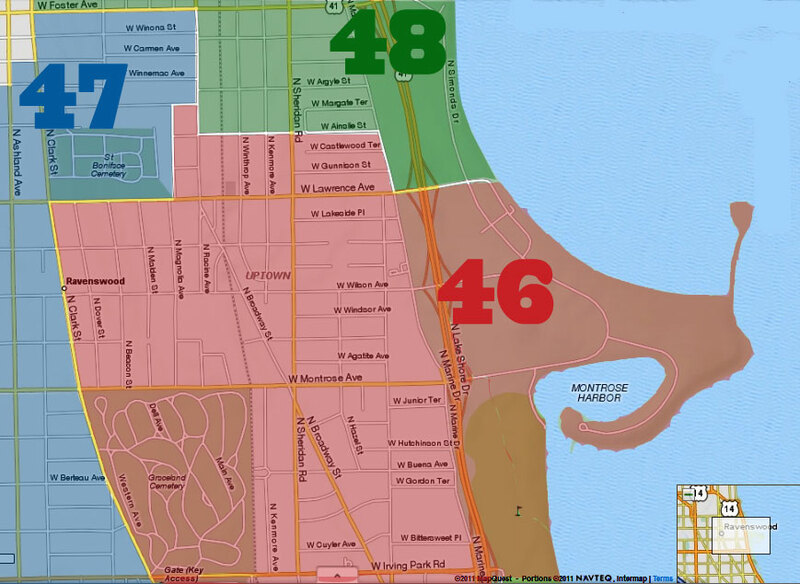 I, unfortunately, live just over in the 48th where no one ran against our Alderman. 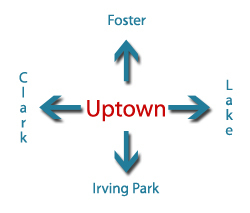 Its not such a great democracy if someone runs unopposed.